As Gaeilge/Gaelic Lyrics And Guitar Chords. 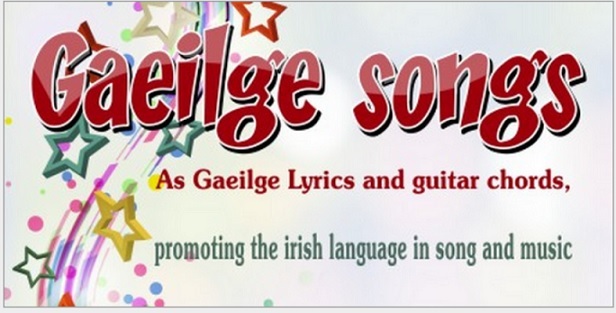 All the songs in this section of the site are in the Irish language. I have received lots of requests for guitar tabs in Gaelic, no other site was doing it and there are no music books available which exclusively give chords and lyrics so I decided I'd give it a try. The Wolfe Tones / Sinead O'Connor. often only hint at the background story of the song subject. stylistic features from the old poetry. Many songs in Irish are deliberatly vague or even ambiguous. and in many cases the details of a relationship are not given.